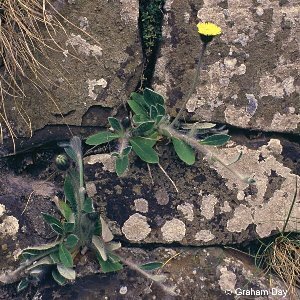 A low rosette-forming plant with leafy stolons, and a pale yellow flower-head. It is found on dry ground such as sand dunes and quarry spoil heaps. Common. All names: Pilosella officinarum F.Schultz & Schultz-Bip. 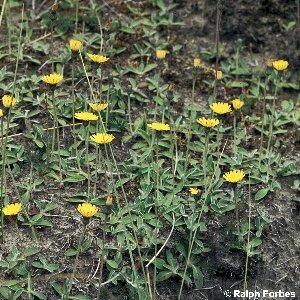 ; Hieracium pilosella L.